Internet Technologies are so developed now that there is no need to waste money on calls and messages.Nowadays there are plenty of messaging apps that allow users to communicate for free but only if they use the same app. This means if your friend does not use “X” app, either he/she is obligated to install the same “X” app in order to make free calls or should make expensive local or international calls. This looks complicated and there was no solution so far. But luckily first solution came in October 2016. 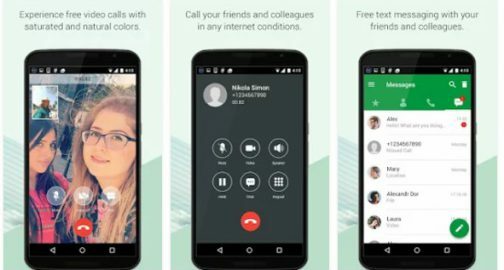 Pinngle is a unique first messaging app that allows to make completely free international calls to any mobile and landline number around the world. Pinngle has a special credit earning system that would facilitate you to make free calls and save money eventually. There are 3 simple steps you need to follow and earn credits as much as you want everyday. Pinngle has multiple features that would surprise its subscribers. Pinngle has end-to-end encryption security and call forwarding features, works with very slow Internet and allows to send an unlimited number of files in different formats. Furthermore, within coming few months there will be more exciting features like Public Channels, Groups videos, Desktop version, etc. Pinngle’s Credit Earning System is simple and fun! When you click on green “GO” button, the roulette will start scrolling. Once it stops you will be able to earn credits ranging from 0 to 300. Afterwards, you will be asked to install some app or a game. Second option is to watch a commercial video of some app or a game by clicking on the yellow button “View Video for 35 credits”. After the commercial video, you will be recommended to install the app or game you have watched on commercial video. You can earn 35 credits in this case. With this option you are able to earn the most credits compared to other 2 ways. As soon as you click on the violet button “Credits for action”, Pinngle recommends you a various games with different credits. When you install and play one of those games, you will be able to earn credits ranging from 400 to 4000. So how much credits do you need to make free calls to mobile and landline numbers?